Volume I and Volume II – paperback on lightweight paper. Fast shipping to UK, EU North American and Worldwide customers. 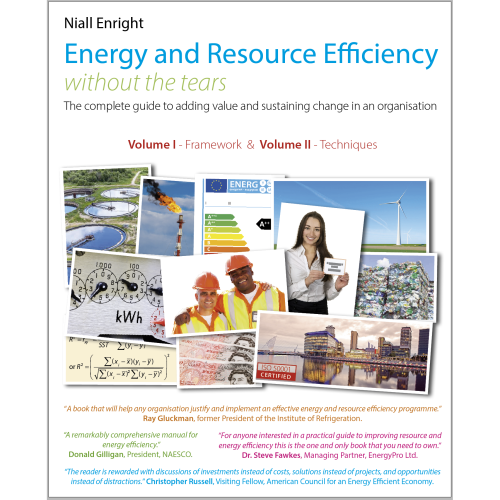 This is the paperback edition of “Energy and Resource Efficiency without the tears – the complete guide to adding value and sustaining change in an organisation”. 840 pages, 1.4 kg. Two Books in one print edition: Volume I describes the drivers for energy and resource efficiency and sets out a universal framework to maximize value and sustain change. Volume II describes over 200 essential techniques, ranging from data analysis, to obtaining financing, and engaging people. 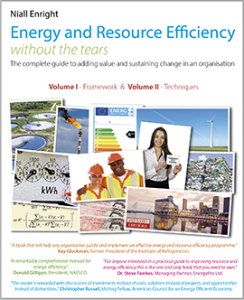 There is also a Chapter on the ISO 50001 energy management standard. 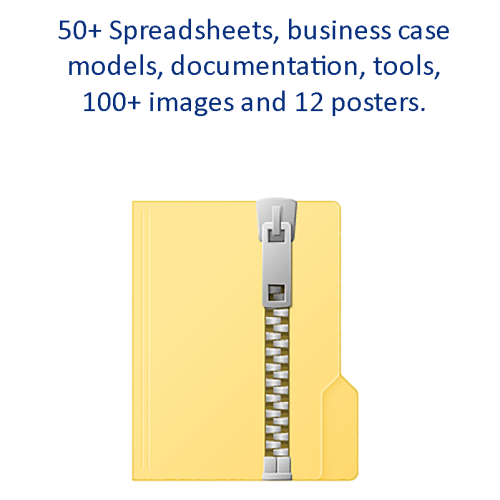 All orders are individually printed and shipped direct from the print on demand service, LightningSource. Most markets have a free shipping option, as well as express delivery options. The print edition includes free access to the companion files. 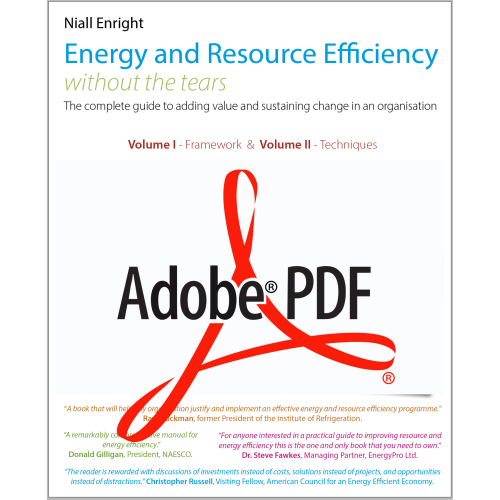 When you have checked out you will be emailed a coupon code to access this comprehensive set of resources, which build on the contents of the books. 840 pages printed on 75gsm (50lb) paper. Delivery times will depend on a combination of the chosen print speed and the delivery method. All books are shipped directly from the print location using UPS trackable service. 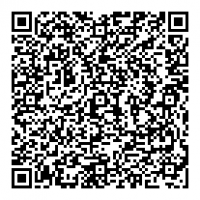 For more information see the shipping guide on the main IWIK page.